How many times have you given a lottery ticket as a token gift, something to fall out a birthday but never expecting it to be a winning ticket, not really? When Alice buys Teddy a lottery ticket for his 18th birthday, that's exactly what she was doing. It's one of those rights of passage things. Against all odds, Teddy wins big time, the youngest winner ever. Sometimes, through good luck or bad, through curses or fate, the world cracks itself open, and afterward nothing will ever be the same. 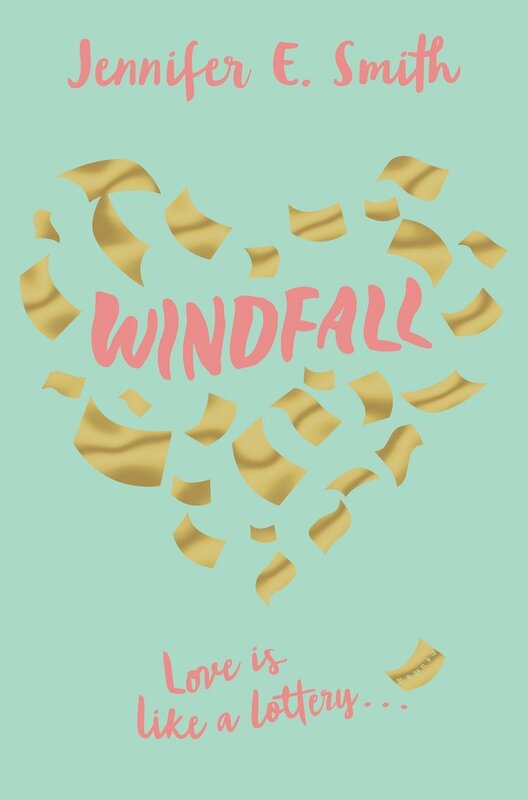 Windfall explores the impact of that money on a young life, not necessarily for the better. 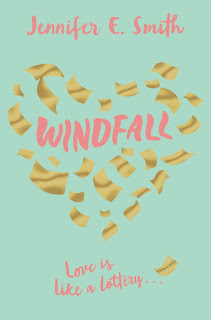 Teddy offers Alice half but she refuses and the tension that the wealth creates starts to drive them apart. She's an orphan but she remembers how her parents did so much for charity and she tries to follow in their footsteps. The ticket was a gift, but she starts to wonder if she was selfish for turning the money down; she could be doing so much good with it. The money is life-changing for Teddy. Living in a one bed with his mother, left destitute after his father gambled away the family money, this means everything to him. He can buy a good place for both of them. He can have whatever he wants. Teddy had always been well liked but attitudes towards him shift when the news gets out. Everyone wants their share of the fortune and good-natured Teddy is happy to contribute. His father suspiciously rocks back up, begging for reconciliation that he is a changed man. Teddy refuses to believe Alice's suspicions that he's just here for the money. Meanwhile Alice feels her best friend is slipping away. She was so close to telling him she loves him before the win and now it just feels impossible. This isn't a fluffy romance, she is stubborn and Teddy is often self-absorbed. Alice dates another guy despite knowing her heart's not in it. They aren't going to be the characters everyone likes but I think this makes them more believable. If you can get past the turning down $70 million dollars bit! There is a bit of glossing over of some things but overall it's another enjoyable book from Jennifer E. Smith. Thanks for the review! Glad that you enjoyed it. Yeah, it seems like it would be difficult to tell her best friend Teddy that she loves him under those circumstances.